For those of us that have been carrying around an iPhone for years now, we have gotten used to the concept of passcodes. In fact, some of us including yours truly have had the same four digit passcode since the first generation iPhones came out. 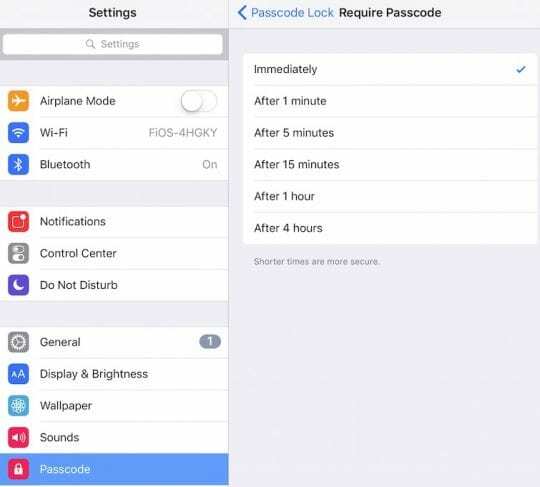 Using two minutes of your precious time, you can now enhance the security of your passcode by 10 fold by switching to at least Six digit passcode that Apple provides your on your iPhone and iPad. 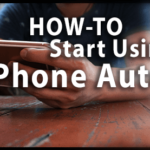 This is extremely easy to set up and activate on your device. Tap on your Settings on your device and scroll down to the bottom of the list till you find passcode. If you are using an iPhone with Touch Id, you should see the menu setting “Passcode and Touch Id”. Tap on it. 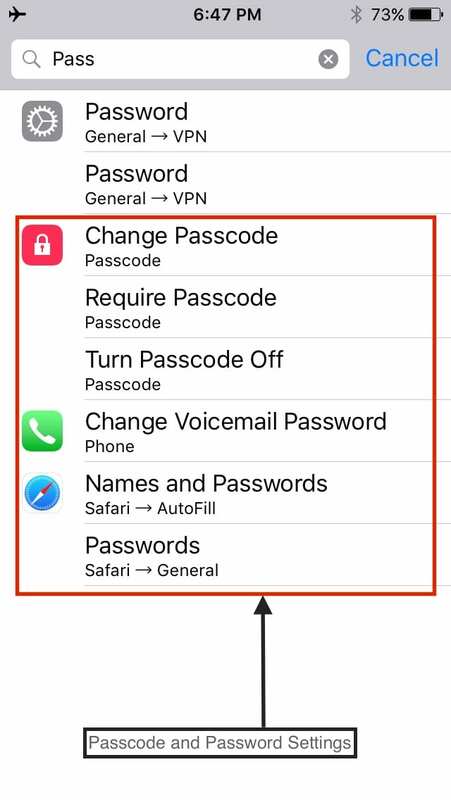 Enter your current passcode and then choose Change Passcode to change your settings. 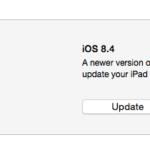 You can also do this on your iPad by going to Settings > passcode and tap on Change passcode. Enter your current passcode and then choose the 6 digit option. 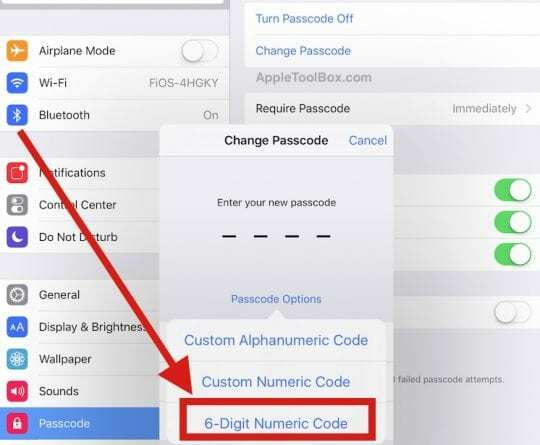 You can also choose to use an alphanumeric option, but it is kind of painful to enter the passcode every time you are trying to unlock your device. 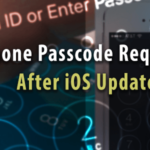 While you are exploring this option to beef up your device’s security, please also take a moment to check out the timing associated with Passcode lock. You can choose from several options. It is important to choose one that is shorter time, especially if you have the habit of leaving your iphone/ipad unattended for longer times. Since with iOS 9.3, You can now search your device settings very easily, I wanted to check and see all the places on iPhone where Apple has introduced the concept of passcode and passwords. In order to do so, Tap on Settings, and Search for Pass. You will find at least eight different setting options as shown below. 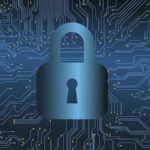 The first of the two settings are related to the use of VPN on your device and will we ignore them for this article. The next three options that you see are related to Passcode. You can set up your passcode, require a passcode or switch off using passcodes all together. The last option is only recommended if you live alone in a cabin in the woods and cant get rid of your iphone. With all the news around Apple Passcodes and FBI etc, it is important to discuss one particular setting. This is the “Erase Data”. If you set it on, your iPhone will delete all your data stored on your device after 10 failed attempts. The last two choices pertain towards setting up passwords for your Safari experience. If you are not use password keychain, you can manually set up your passwords for your sites by choosing this setting. Tap on Safari -> Passwords and enter your passcode. Tap on Add Password as shown below. Enter the website for which you want to store the user id and password for. Once completed , Tap on Done. This will help you automatically populate the password on the site when you open it next time on your Safari. In order for this feature to work appropriately, please make sure that you have set up Autofill for names and passwords. 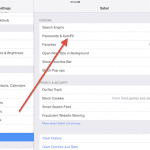 Tap on Autofill on your Safari Setting and enable Names and Passwords as shown below. This should take care of this. 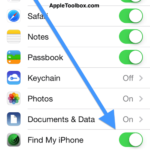 If you are interested in storing the userids and passwords in icloud so that you can use them across all your Apple devices when you browse the sites on Safari, you can take advantage of the icloud keychain feature which is easy to set up. Many folks have had challenges in using the new password and lock feature associated with the new Notes in ios 9.3. We will try to cover the issue in a separate post in the coming weeks. Apple provides you with multiple options via its settings to manage the security of your iPhone. We suggest that you at least take advantage of the 6 digit passcode to beef up your iphone security by ten fold. There are various ways people try to adjust to remembering the 6 digit as opposed to the 4 digit code. My trick is to add a million to my four digit code. 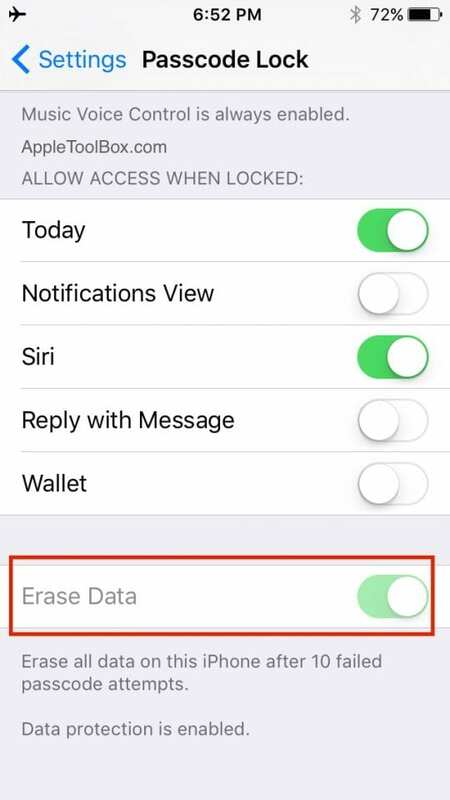 For those of you that have the touch id feature on your iphone, please make sure that the “Erase Data” feature is appropriately set up on your device. If you want to take advantage of a specialized password manager software, you can explore products such as 1password on iTunes. This has stellar user reviews and provides the best bang for your buck.